I’ve been blessed with really good, strong and solid real nails so I can afford to file and cut and grow and change as I please. 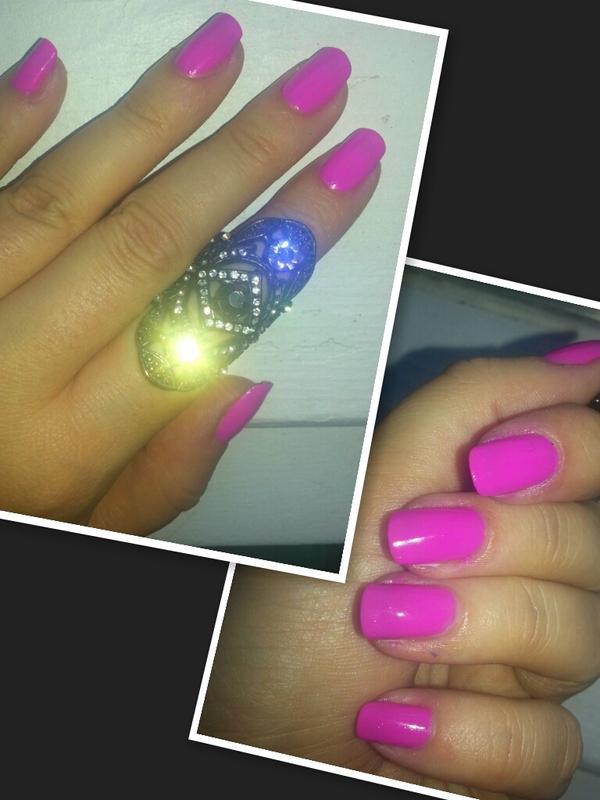 No designs today, just a straight pretty bright violet colour. 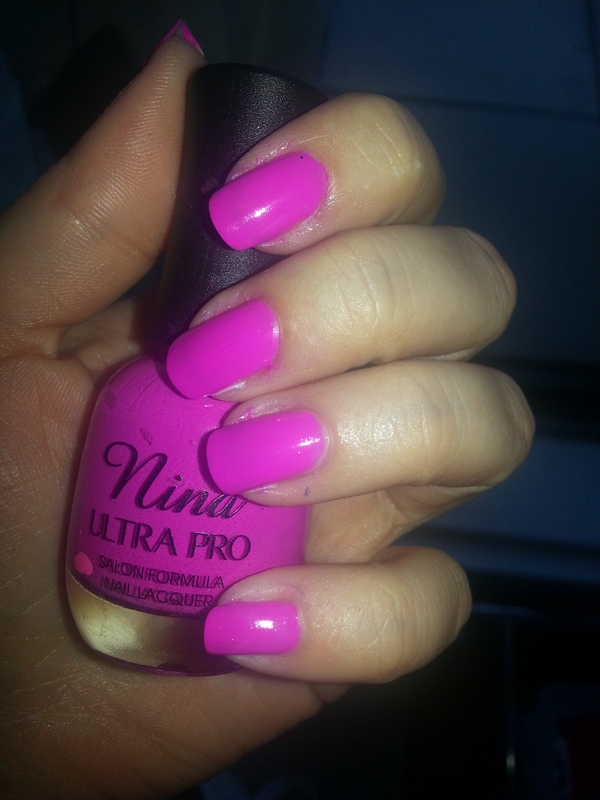 This nail polish brand is called Nina Ultra Pro. 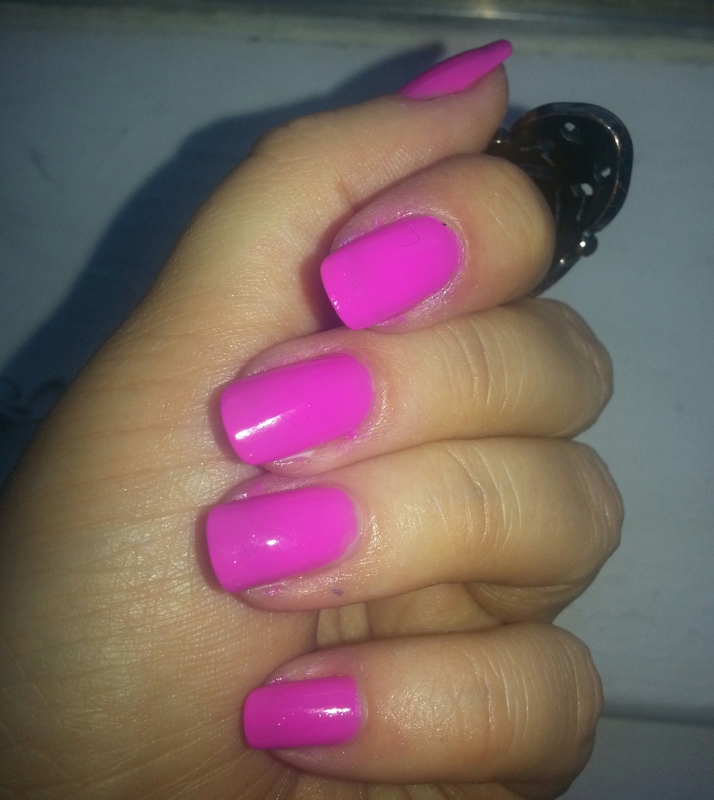 I know how cool, to have a nail polish with my name lol… The shade is Violet It Ride.